Now, any organization with a limited IT staff and budget can quickly and inexpensively create a highly-secure wireless LAN (WLAN) — with ZoneDirector 3000. 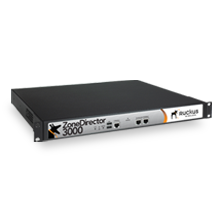 Capable of centrally managing up to 500 ZoneFlex 802.11g and 802.11n Smart Wi-Fi access points (APs), ZoneDirector 3000 is designed for ease of use, high performance, and low cost of ownership. Ruckus Smart Redundancy ensures high network availability and is easy to use with automatic synchronization of configuration and authorized users between ZoneDirectors.